THE PRIEST is the first book in a new companion series to A LINEAGE OF GRACE. Each novella peers into the life of one of five biblical men (such as Aaron, Jonathan, Barnabas) who stood behind the great heroes of faith. In THE PRIEST you'll meet Moses' brother Aaron, the first high priest of Israel. How will Aaron support Moses while he struggles with being satisfied with God's plan for his own life? Be inspired by how this seemingly secondary character plays a key role in supporting his leader and impacting the faith for eternity. 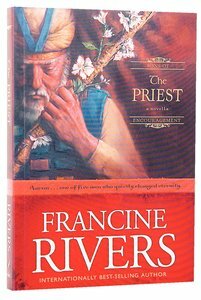 About "The Priest (#01 in Sons Of Encouragement Series)"